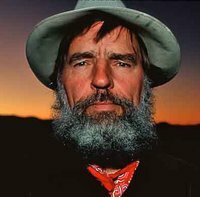 Edward Abbey, the iconoclastic defender of places like the Valley of the Gods, part of the Bears Ears National Monument that has been cut out of the area by the Trump administration. 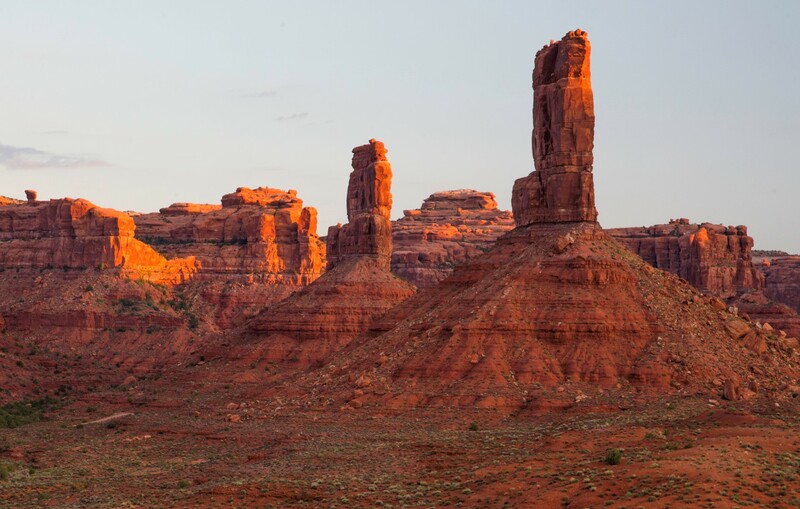 I would have paid good money to see Edward Abbey respond to the auctioneer putting on the block lands within the original boundaries of the Bears’ Ears and Grand Staircase-Escalante National Monuments in southeastern Utah. He would have had it in for the Washington bureaucrats who turned his beloved canyons, rock goblins, and land bridges into “Arches National Money-mint”. We need to keep the “wild” in wilderness. Different people understand and appreciate that concept differently for different places. For deserts, my eyes were opened somewhat like Abbey’s. We both grew up in Pennsylvania. The horizons of our childhood were cramped by trees and hills. We took water and the color green for granted. And, even when we ventured as far as possible from civilization, we never found true solitude. For both of us, visiting the desert as young adults for the first time was an epiphany. For Abbey, the entry point was the Four Corners region, where Colorado, New Mexico, Arizona, and Utah intersect. For me, it was what was then Joshua Tree National Monument and the East Mojave Natural Reserve. They were 150 miles east of my home in Los Angeles, but seemingly on a different planet. I may never better grasp my place in the universe than when I first stood at the top of Joshua Tree’s Ryan Mountain. I could hear a single fly fluttering on the ground below me, my heart beating calmly. I saw the heat around me, smelled the absence of smells, tasted the impossibly blue sky. And as I looked east towards the sallow Pinto Mountains, I saw nothing but miles-long and wide slabs of hard rock, their expanse broken only by slender fault lines, like streets built by a lost race of giants. Not a trace of green, not a movement of any kind…and I felt as if I could grasp geologic time. I want my teenage daughter to have a desert epiphany. I want my about-to-be-born great-nephew, who will be raised in water-logged Pennsylvania, to know what the phrase “stark natural beauty” really means. If that means making it hard to get into places like Bears Ears or Grand Staircase-Escalante, I’m good with that. If it means unpaved roads, primitive facilities, high drive-in entrance prices, and no Starbucks latte bars, that’s OK. If it means that, as I get older, there won’t be a shuttle bus that can haul me to the top of Ryan Mountain and I’ll have to be satisfied with my memories of desert solitude, so be it. And if it means fewer coal and uranium mines for power plants, all the better. Per his instructions, Abbey is now fertilizing “the growth of a cactus or cliff rose or sagebrush or tree” in the Cabeza Prieta Wilderness in Arizona. Where exactly, his burial party is sworn not to tell. So, he won’t have to suffer the pain of watching another piece of his beloved desert sold to the highest bidder. Me? I just want to do my darndest to make sure there’s some left for my next generations to see. For ways to protect our public lands, check out our Action page.